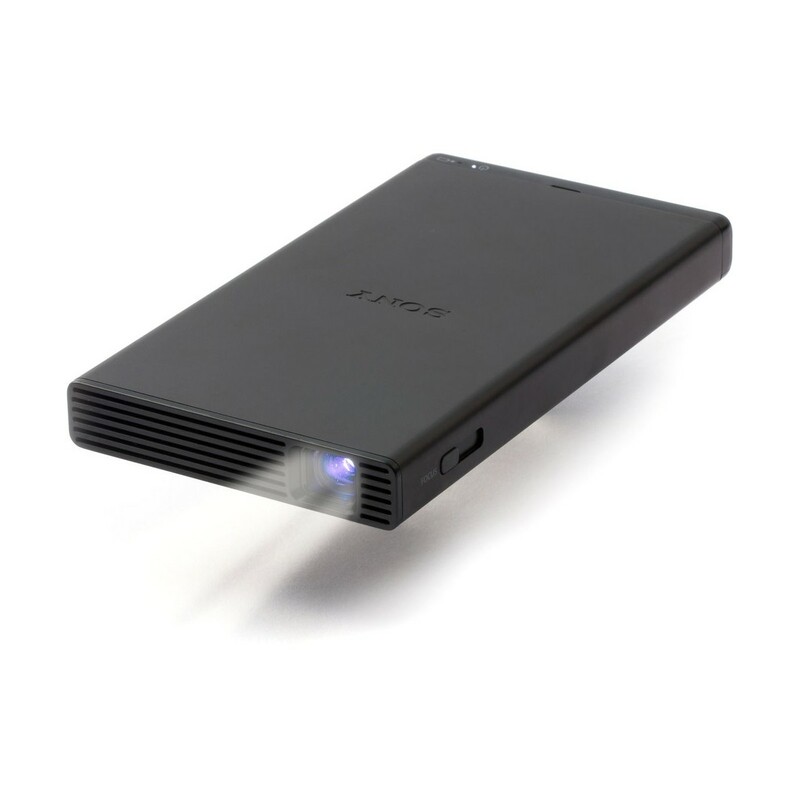 Sony 105-Lumen WVGA DLP Pico Projector can project an image up to 120" diagonal from roughly 11.3' away, or a 40" image from just 3.8' away. It provides an 854 x 480 native resolution and up to 105 lumens of brightness for use in environments where ambient light can be kept to a minimum. 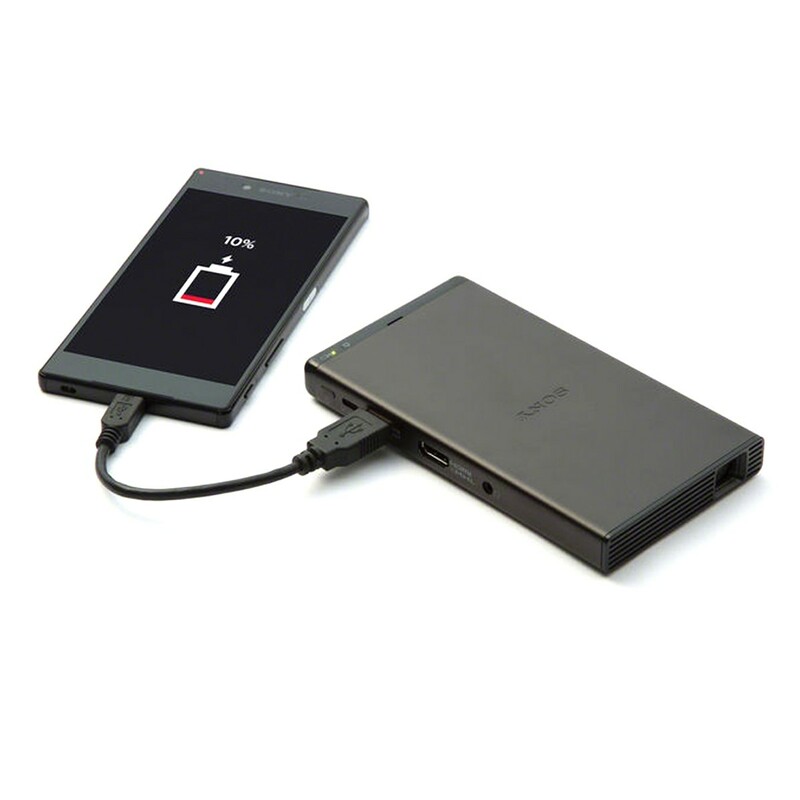 The MP-CD1 has a built-in 2-hour rechargeable battery for use nearly anywhere. 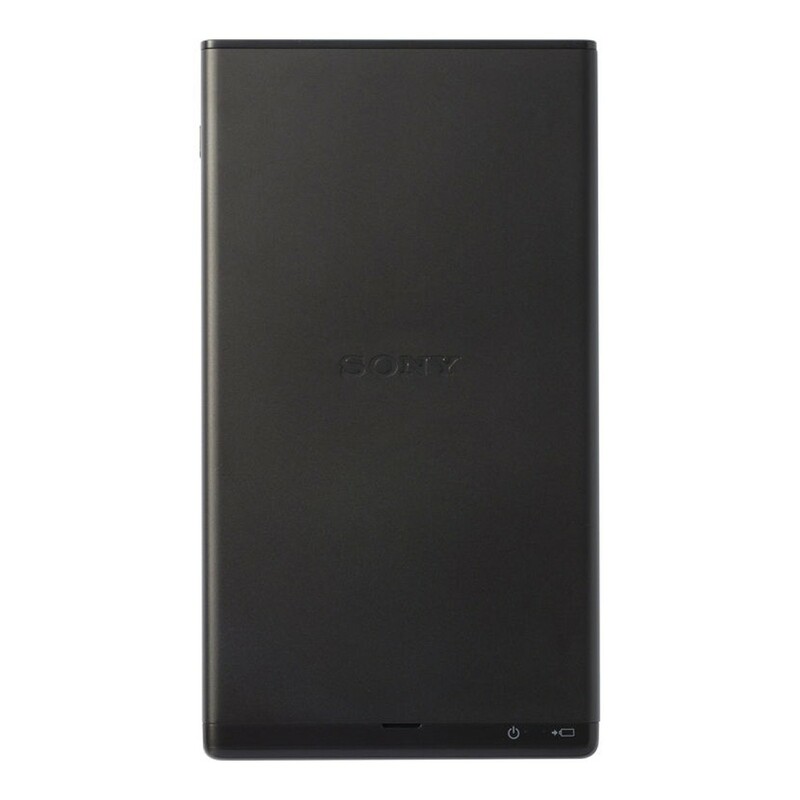 It features an HDMI input with MHL compatibility for connecting your compatible portable devices. Weighing under 10 oz, the MP-CD1 is easy to tote around in its included carrying case. An HDMI cable is also included for added convenience. The MP-CD1 features a 105-lumen output to help it produce bright, dynamic images. 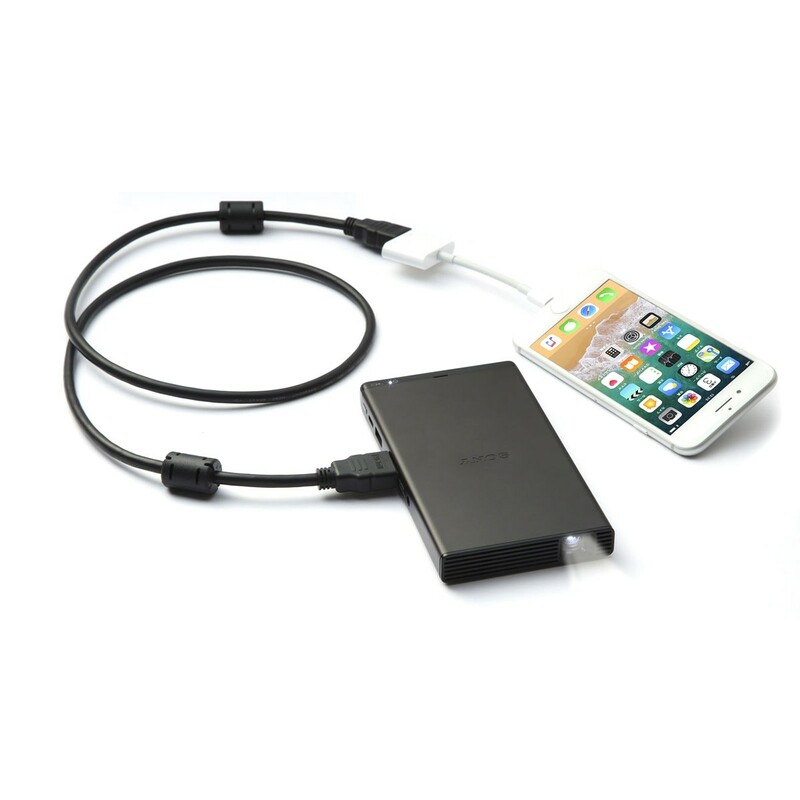 Use it with media-streaming adapters, smartphones, laptops, and gaming consoles. 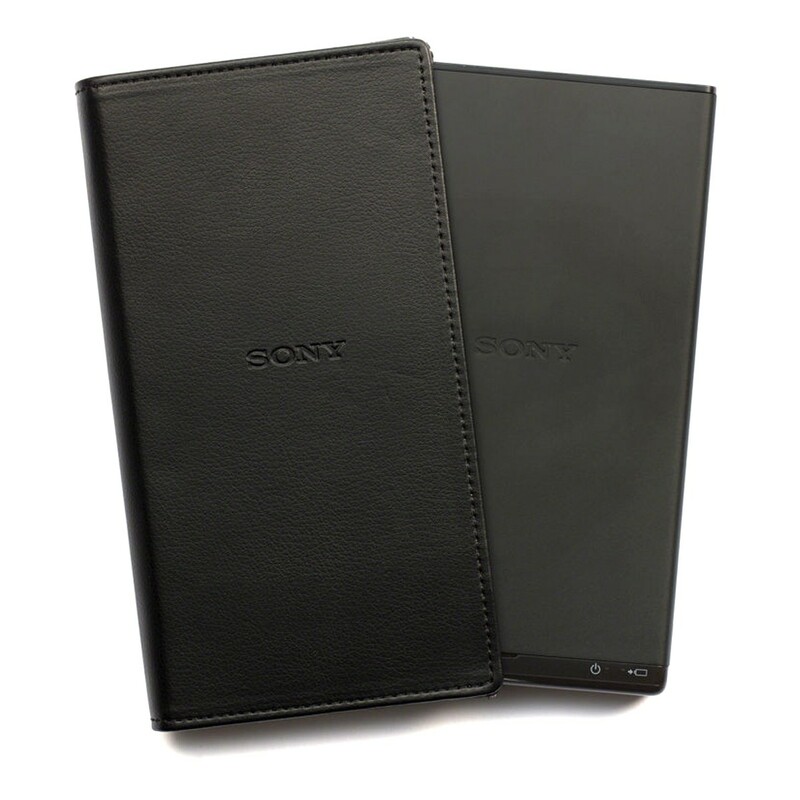 The MP-CD1 weighs just 9.88 oz and is compact enough to slip into your briefcase or backpack. IntelliBright technology by Texas Instruments helps the projector manage brightness and power consumption, allowing it to achieve up to 105 lumens of brightness thanks to reduced heat build-up. Connect the HDMI cable from your computer and press the projector's power button. 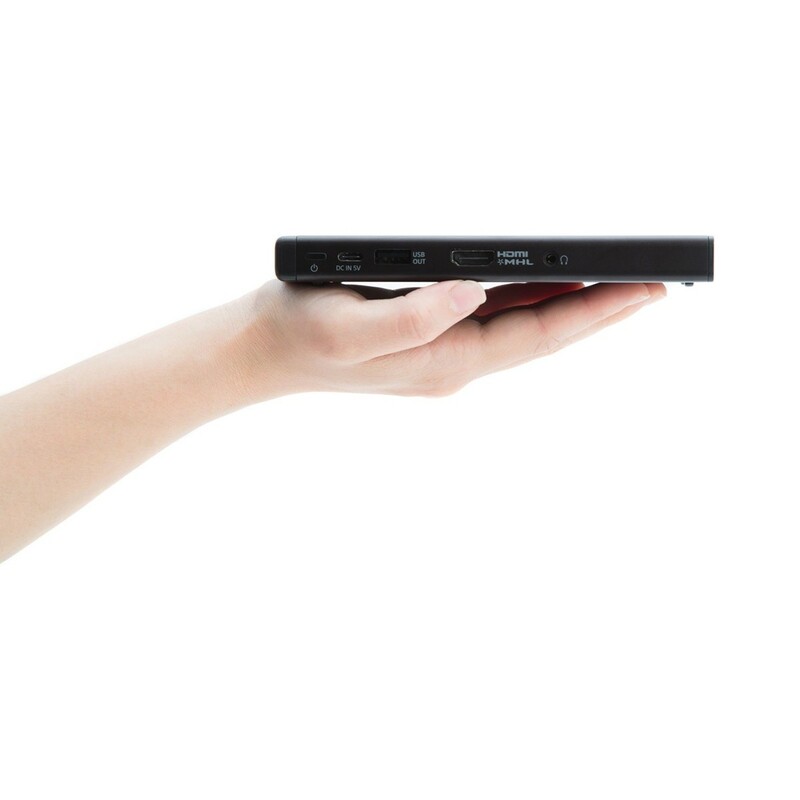 The projector boots up in just five seconds, allowing you to go straight into your presentation. You can attach an HDMI adapter to provide wireless connectivity for compatible computers and smartphones. 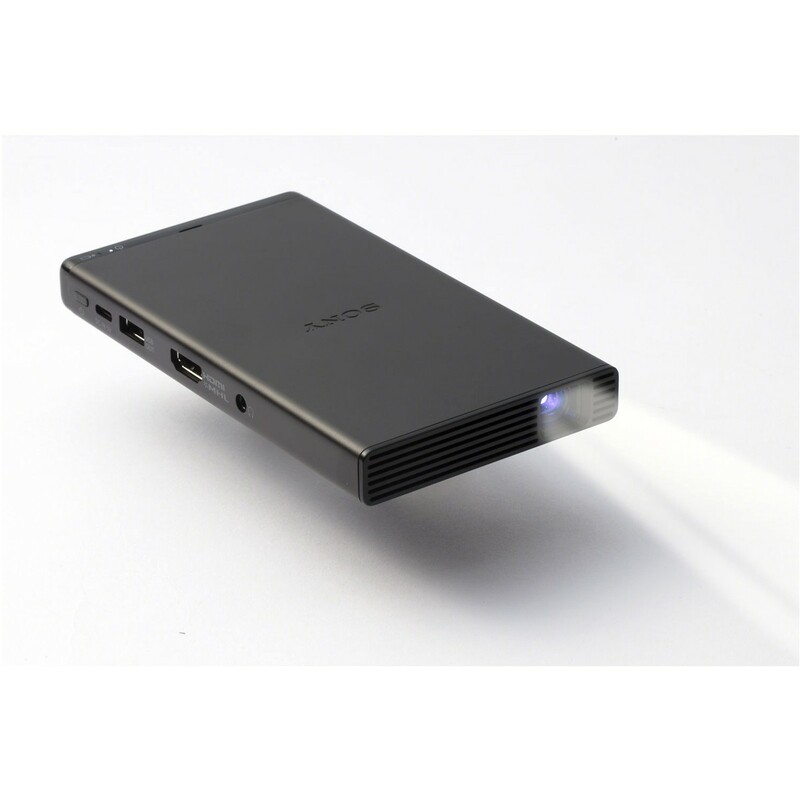 The HDMI and USB ports on the projector accept a variety of devices for access to sources such as YouTube or Netflix. 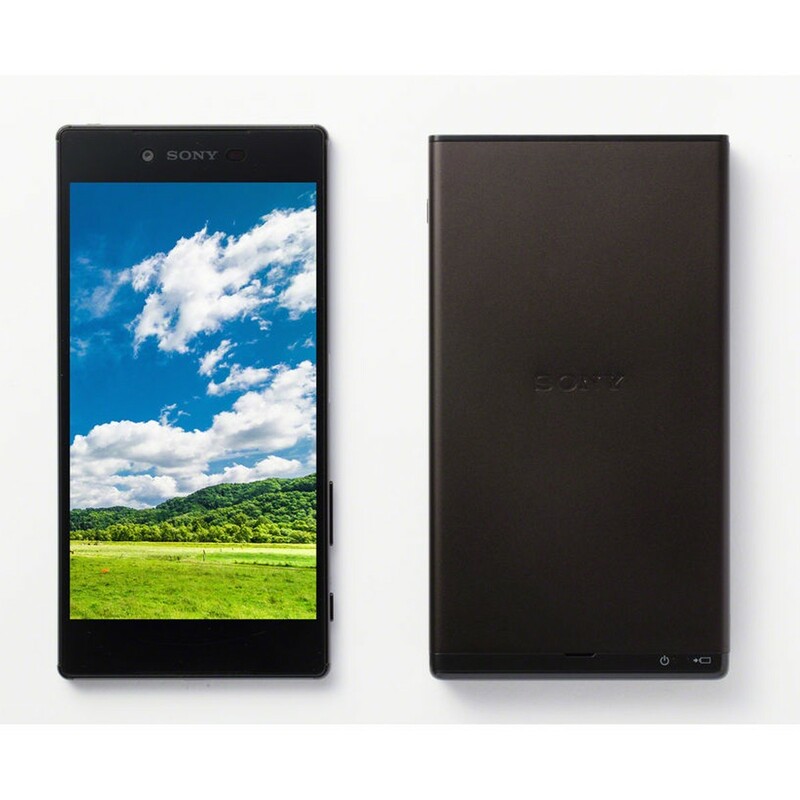 The built-in battery lasts up to two hours per charge - enough time for most full-length movies. The size of the projected image depends on distance, but even for the maximum size of 120", you only need 11.48', so small living rooms are fine. The MP-CD1 features automatic keystone correction, allowing you to place it directly on a table or desk and project without any need to prop it up or use a tripod. Even when projecting from an angle, auto keystone correction helps keep the image looking normal. Dynamic Mode is designed to enhance color brightness and saturation. The bottom of the projector has a standard (1/4"-20) tripod mount, allowing you to attach an optional tripod to project in any direction, including on the ceiling. 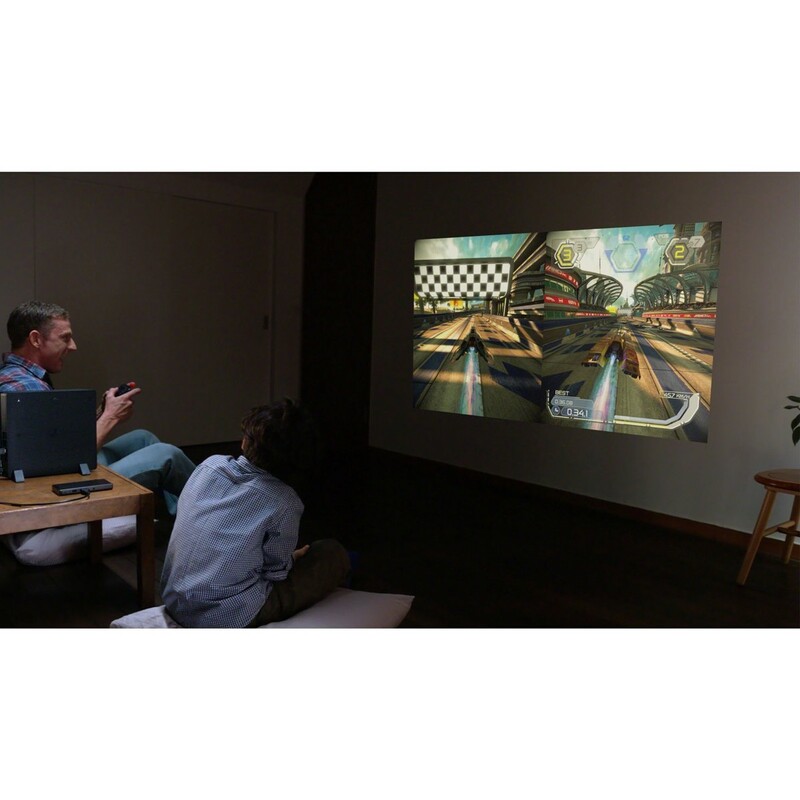 The projector features a fan that is nearly noiseless, even while projecting a movie. Since the battery is charged through the USB Type-C port, there's no proprietary AC adapter to carry around or forget. 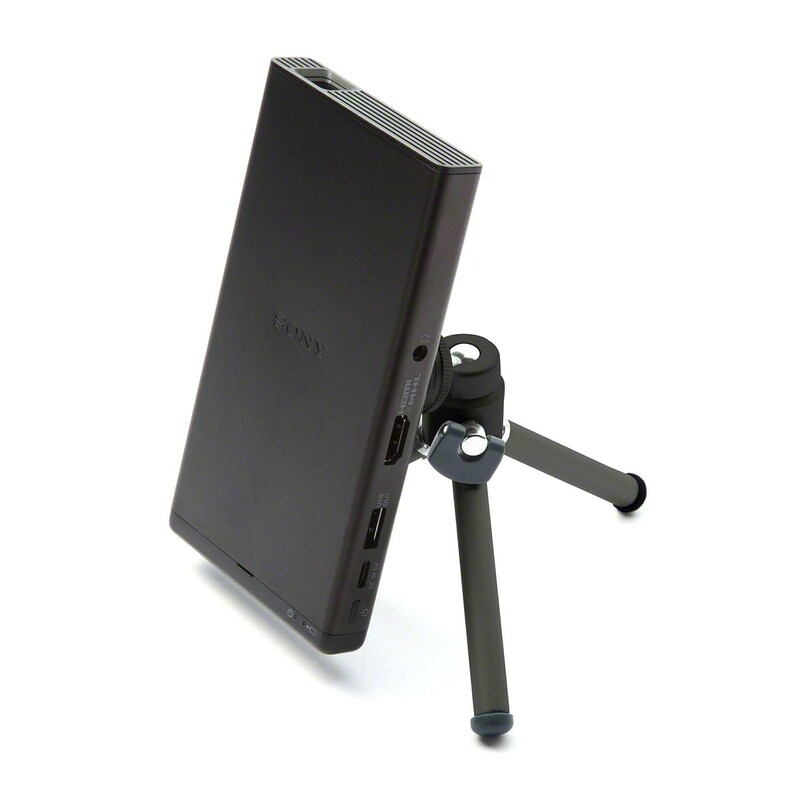 The projector's 5 V / 3 A rating helps ensure rapid charging with compatible equipment. You can even charge the projector with your portable battery pack. The HDMI port is compatible with HDMI/MHL inputs, allowing you to connect laptops, gaming consoles, Android devices, and (with an optional adapter) Apple devices. The audio output jack lets you plug in either headphones or external speakers for multimedia entertainment. 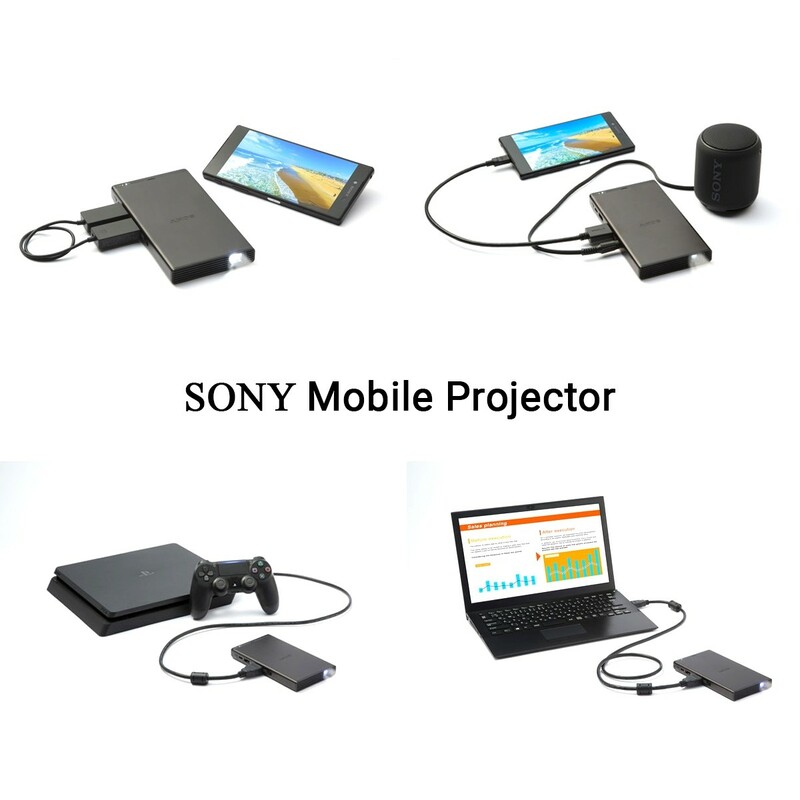 The integrated battery lasts for up to two hours of projection, but the projector can also serve as a USB charger for your other mobile devices. The included carrying case is designed to protect the projector and lens from bumps and scratches, and to allow it to be charged without removing it from the case. 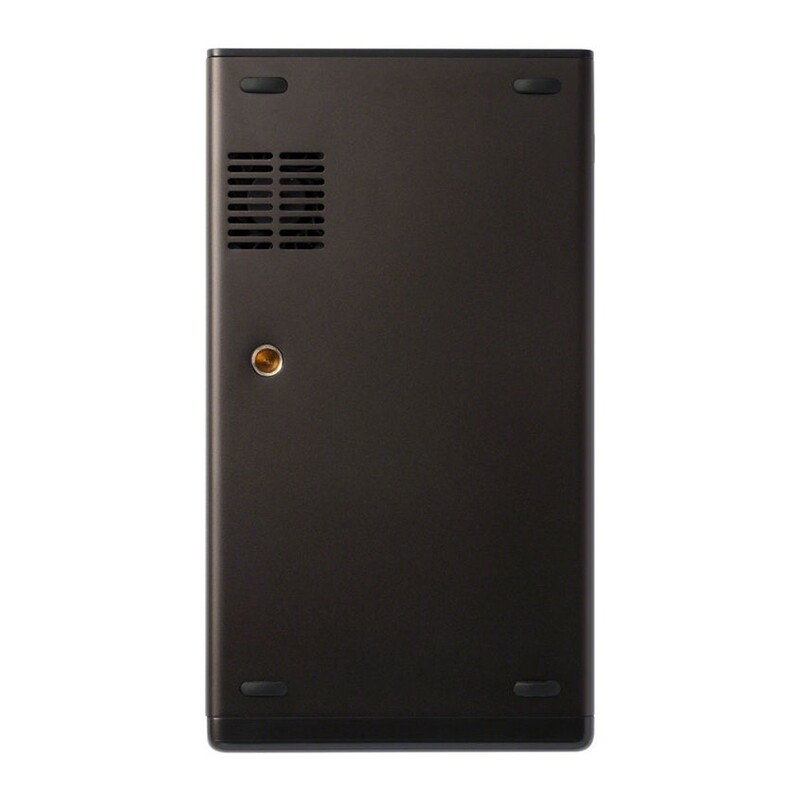 The projector is built with an aluminum body.